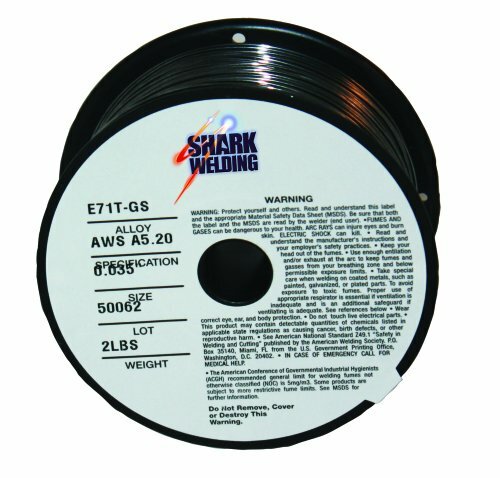 Shark Welding 12008 Flux-Core Mig Wire E71T-GS .030 - 2 lbs. View More In Welding Wire. E71T-GS Gasless Flux Cored MIG Wire. Produces a deep penetrating weld. This flux-cored steel wire is used without gas as a shielding agent on mig welders with reverse polarity.